There are a number of different cuts and these will provide a firm grip. 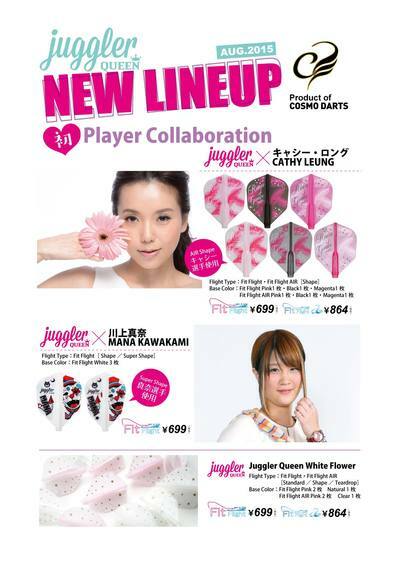 There are the first player collaboration flights in Juggler Queen version. 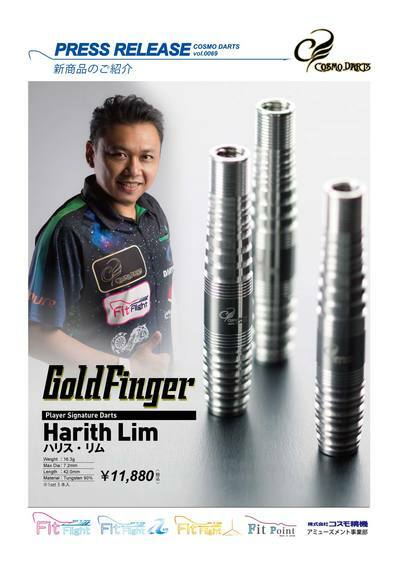 Cathy Leung is not only a dart player from Hong Kong, but she is also a professional singer and she is showing some talent! Mana Kawakami is mainly playing in the JAPAN tour, and she has many fans here in Japan. These two ladies player collaboration flights are now available! Juggler Queen flights with a girly floral design. This time, Standard, Shape and Teardrop are available. Juggler Queen flights (excluding Juggler Queen player collaboration flights) are limited in quantity. Please don’t miss your chance to get the one you like. The above products are available for sale from August 18th, 2015.